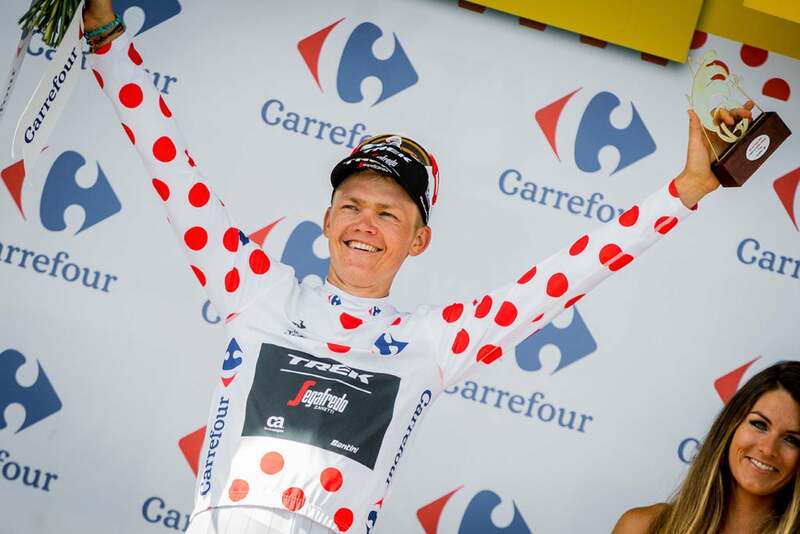 Tour de France rookie Toms Skujiņš of Trek-Segafredo has been one of the real surprises in this opening week of the 105th Tour de France after grabbing the iconic polka-dot jersey, awarded to the best climber, in stage 5. 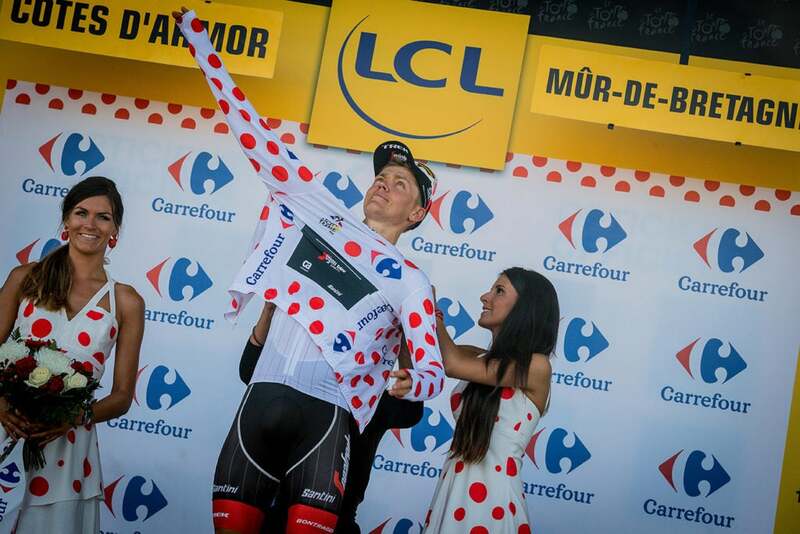 But his attack on the first ascension of the Mûr-de-Bretagne near the end of stage 6 also impressed many insiders, because he managed to score even more points in the KOM category, setting him up for a run in the polka dots that could continue until the race reaches the Alps on Tuesday. 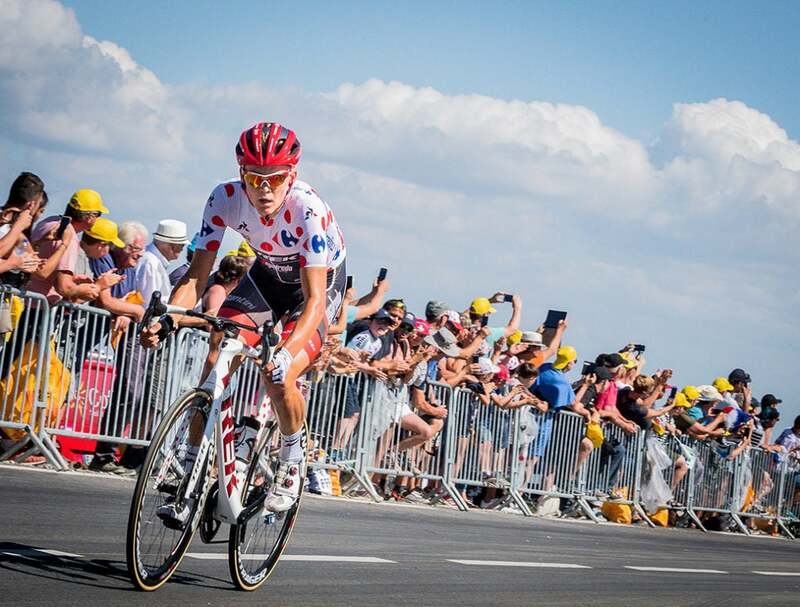 For the 27-year-old Latvian cyclist, it has been a heck of a ride to the upper tier of the professional cycling world. 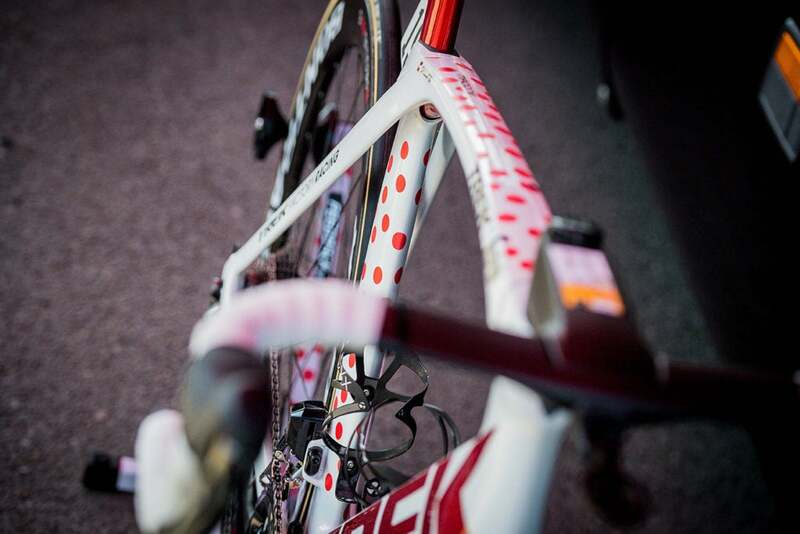 We caught up with the jovial Skujiņš before the start of his second day in polka dots. 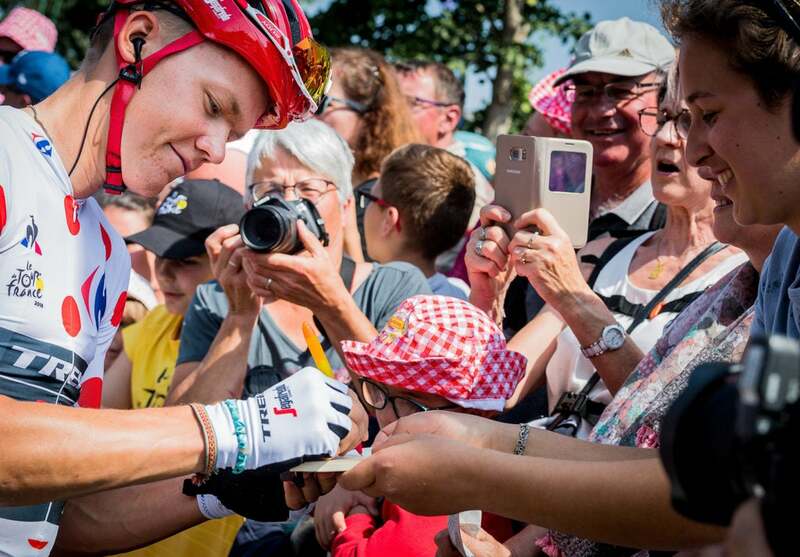 PELOTON Magazine: Toms, things are really starting to heat up for you here at the Tour de France after taking the polka-dot jersey. Do you sense that tension is mounting around you and the jersey? Toms Skujiņš: Yeah, there are definitely more people here around the bus, but its good fun. There is definitely more stuff to do because of the jersey and I am still trying to focus on recovery, because there are still two weeks of racing. But I’m trying to keep it light. 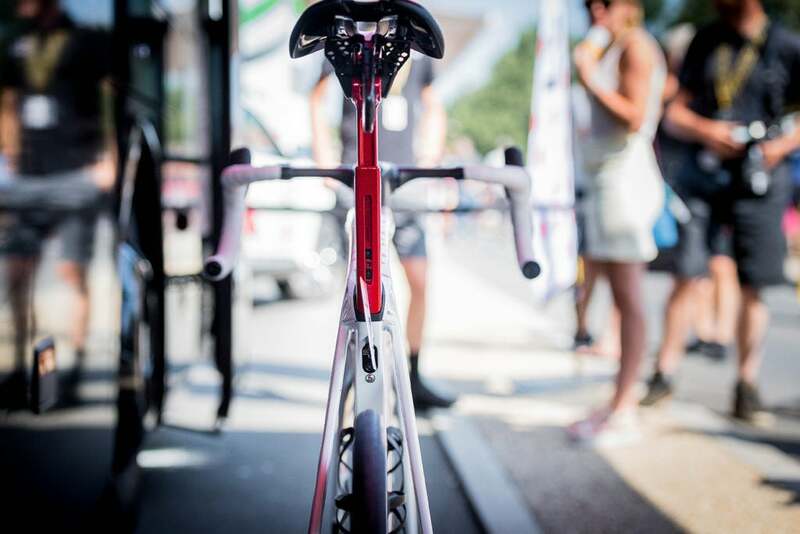 PELOTON: How does a guy from Latvia make it to the upper echelons of the Tour de France? Skujiņš: Well, it definitely takes some time. When I was 14 or 15 I started going to mountain bike races with my sister’s boyfriend at the time. Then I started training with a local club where the coach had about 20 to 30 of us. Slowly and surely I did both mountain biking and road racing until I was 18 when I focused on the road. PELOTON: For those of us who grew up during the Cold War, we think of Latvia as an old Soviet State. But I am not even sure that you ever knew Latvia during the communist era as your country declared independence pretty much when you were born? Skujiņš: No, for sure. I was born in the year that Latvia regained independence. My birth certificate is actually in Russian, but that is about it. That said, independence doesn’t happen overnight and there were lots of stories from when Latvia was still part of the Soviet Union. Growing up, there were still a lot of things that were similar to the Soviet Union. Obviously, I don’t remember the hard times. I never had to stand in line for bread or anything. But I do remember that shops were not super-full and the country was somewhat poor. But the country has grown a lot in the last 27 years. It’s interesting. Latvia used to have four velodromes, but after independence they fell into waste or got torn down, because, well, the country was without support and had to find ways to make their own money and rebuild. That said, we still had a lot of good coaches from the old Soviet system that helped us in the early days. PELOTON: You moved to France when you were barely 20 to ride with the French amateur team, La Pomme Marseille, which has launched dozens of professional careers now. 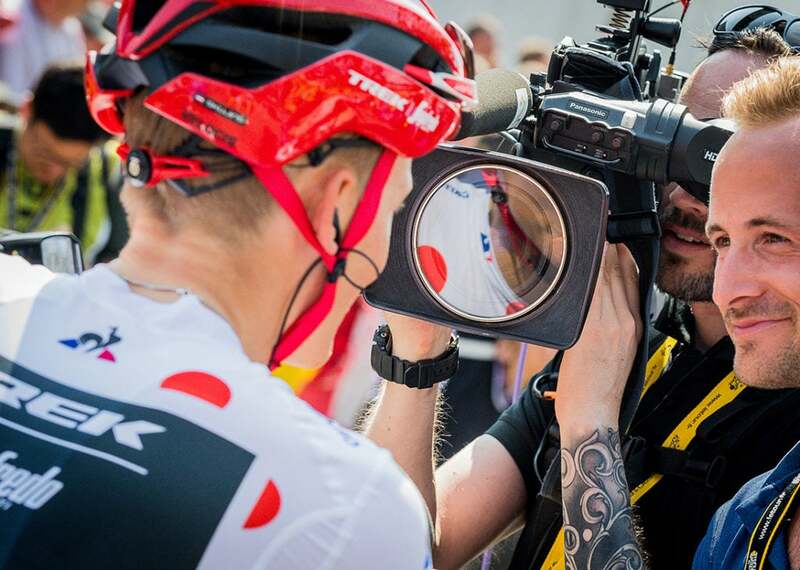 Skujiņš: Yeah, well, we had a couple of connections with the team thanks to guys like Gatis Smukulis, who was riding with them and is actually riding with them again. From there, I went to ride for George Hincapie’s development team, which really helped me get my first pro contract. PELOTON: You won a great stage in the Amgen Tour of California this year, holding off a fast-chasing pack in the final meters. 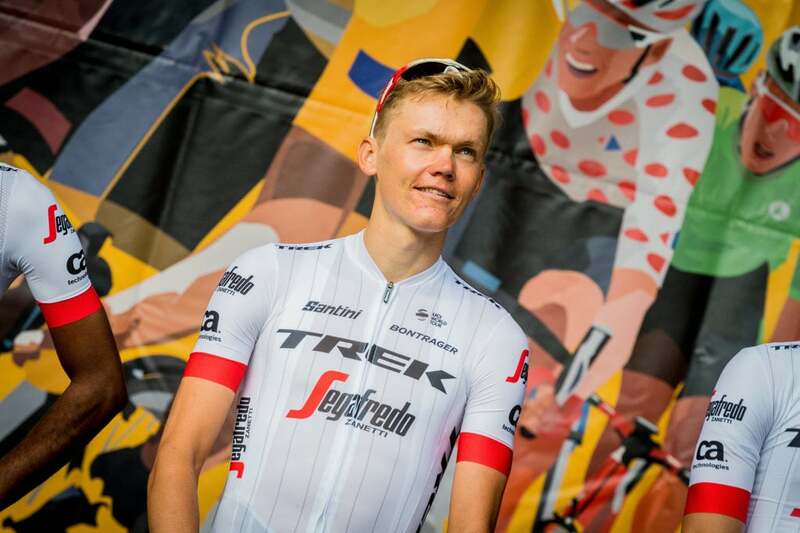 When you got into the break the other day at the Tour, were you thinking that this could be another ATOC situation? Skujiņš: Well, I was definitely hoping for a stage win or at least a shot at it, but tactics don’t always work out with the other riders. At the beginning of the day, I didn’t want to waste energy on sprinting for the KOM points, but once I saw that our chances of staying away were deteriorating quickly, then I went for it. PELOTON: It was interesting, because by the time you started going for the KOM jersey, the odds were dwindling. There were two Direct Energie riders in the break, and Frenchman Sylvain Chavanel was up the road and had already won three KOM primes. Skujiņš: Yeah, well, sometimes strength helps. You have just got to use that brute strength. Chavanel had been away for 40 kilometers and although it wasn’t easy to catch him by the time we did he was pretty much done for the day. PELOTON: What really impressed me was your ability to increase your lead on the Mûr-de-Bretagne on stage 6, attacking the peloton the first time up the Mûr to pick up some important points. The easy thing to do might have been to jump into the early break and grab some early KOM points, but you went much later in the race. PELOTON: Well, now you have a two-point advantage over your nearest challenger and there are three flat stages before the first rest day on Monday. You have a good chance of keeping the jersey until the race hits the high mountains next week. That would be pretty amazing. Skujiņš: That would be awesome. There’s one KOM point on stage 7 and two on stage 8, so in theory Chavanel could grab it from me. But that would take a lot out of him. If he is willing to make that kind of sacrifice, well, good on him. But there is still a lot of racing to come. 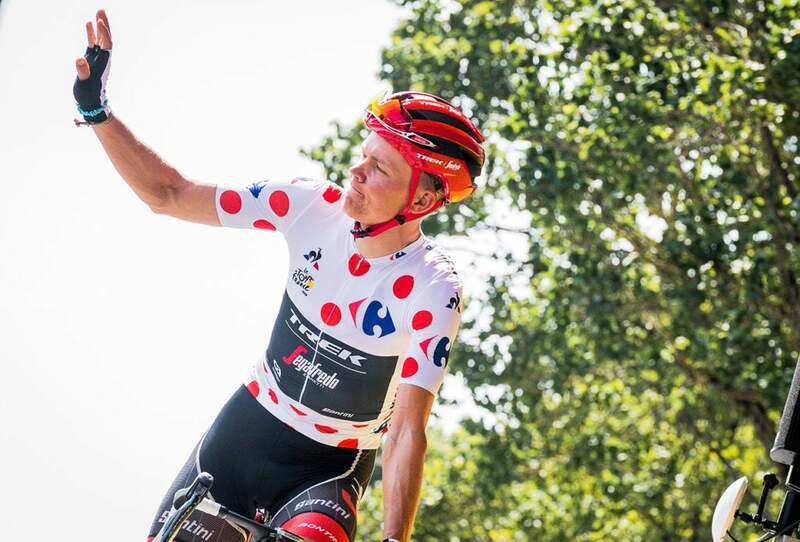 PELOTON: What’s it like to have the polka-dot jersey on your shoulders? Skujiņš: The best thing is definitely the recognition. Not just the recognition that I am getting, but the recognition that the team is getting and that Latvia is getting. Latvia is a really small county and a lot of our riders are underrated. The country only has a population of two million, but there are a lot of good strong kids. So, any time we can get the word out is good. And of course it is great for the team. Everyone is excited. There are still two weeks to come. But this is just the beginning for sure! 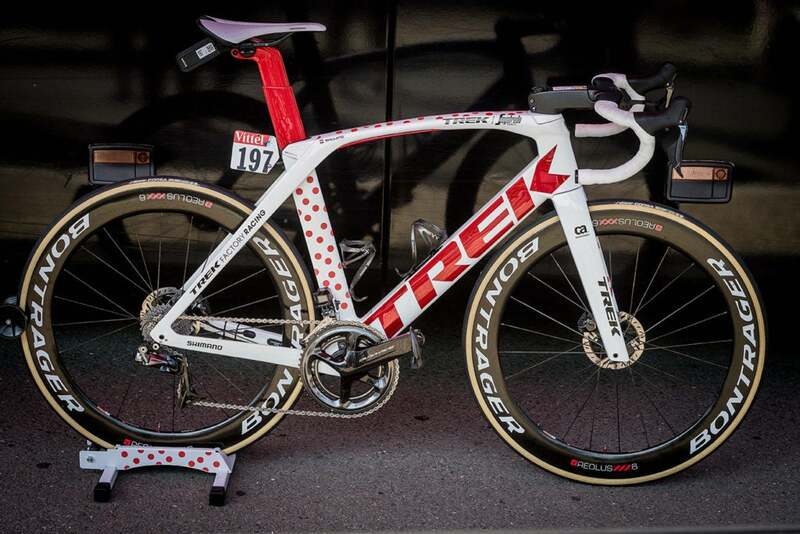 PELOTON: And now you have a polka-dot Trek Madone to match! Skujiņš: Yeah, the mechanics have definitely outdone themselves once again. We just have a super crew here. They take care of us!